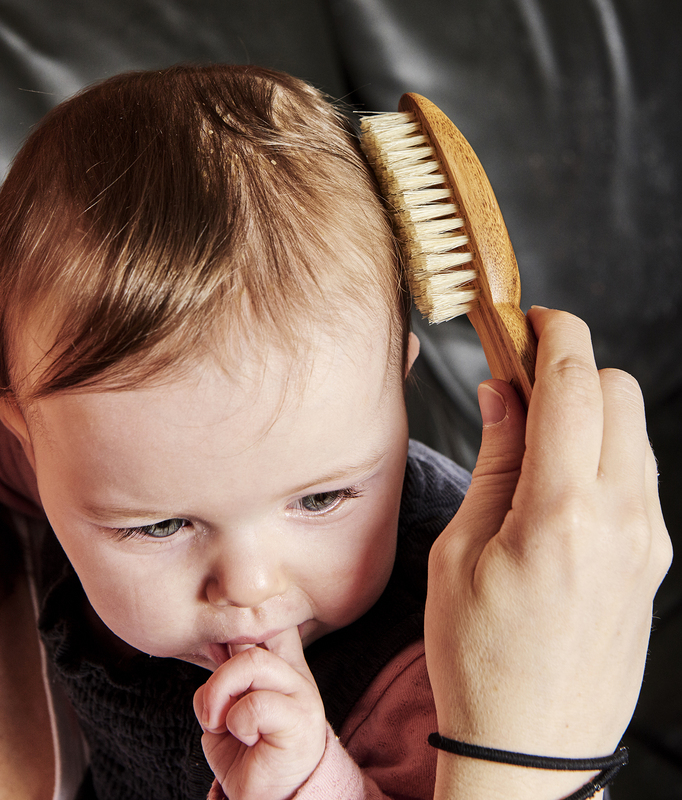 We understand that taking care of tiny tangles and sharp nails can be a challenge, especially with baby’s delicate skin. 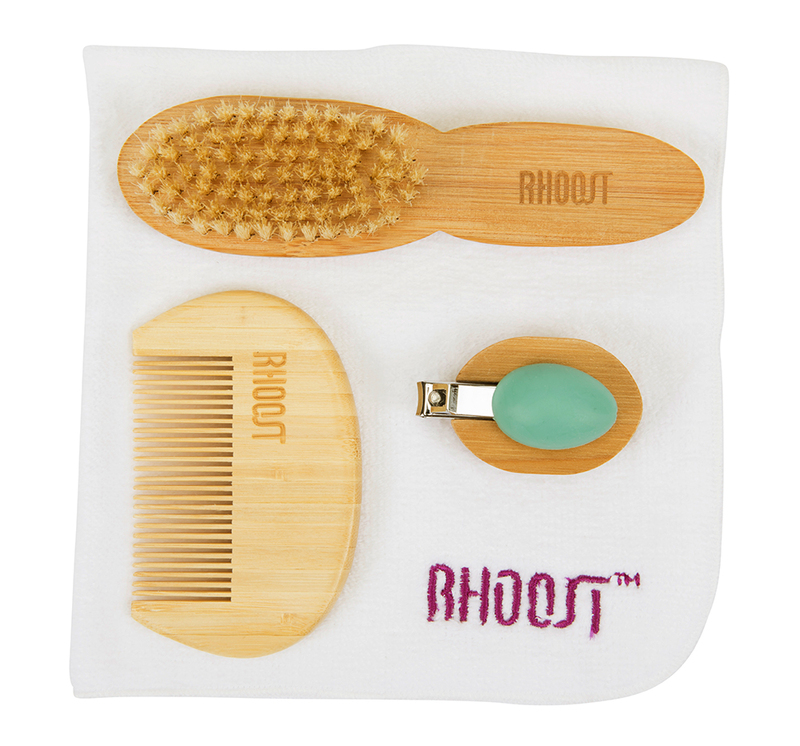 That’s why we created the Rhoost Baby Grooming Kit – to offer a safe, effective, and natural solution to baby grooming. 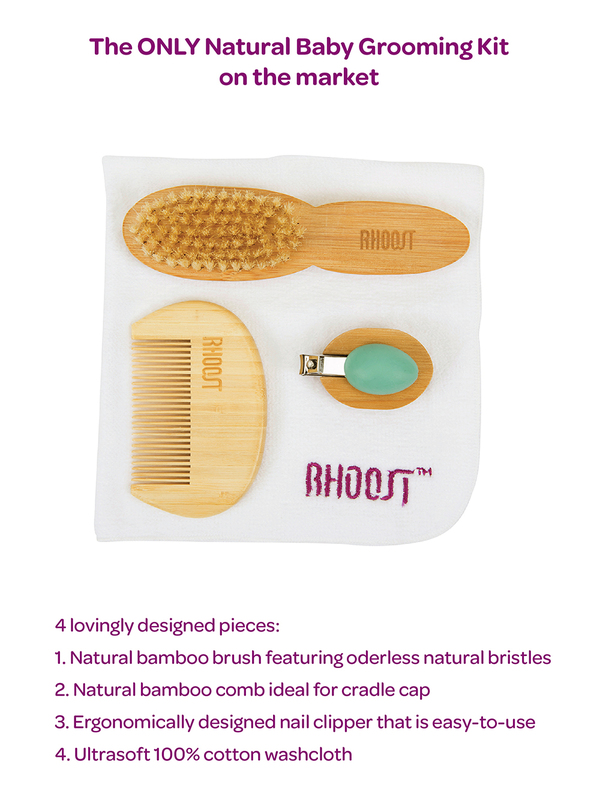 RENEWABLE BAMBOO – The only all natural baby grooming kit on the market. 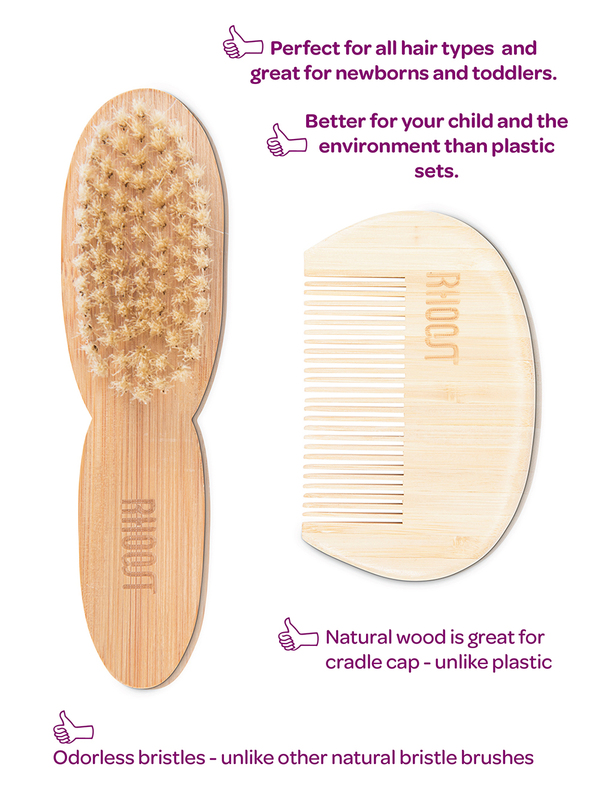 All of the wooden pieces are made from only the finest renewable bamboo. 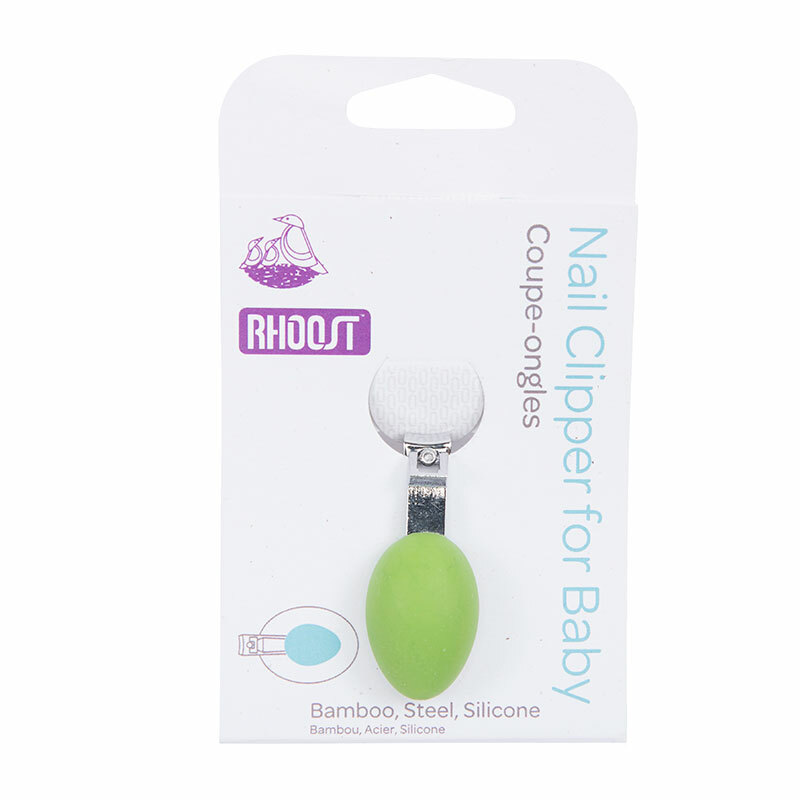 SAFE & GENTLE FOR BABY – The no-slip thumb grip and bamboo base on our baby nail clipper ensures that you have complete control while clipping. 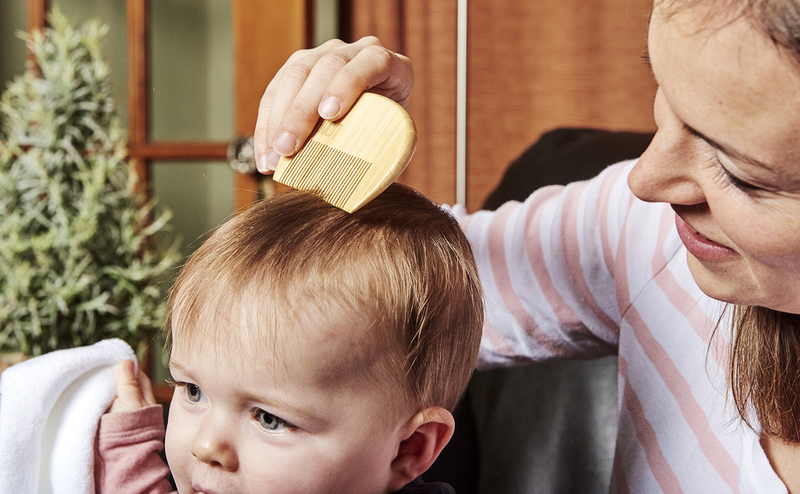 IDEAL FOR CRADLE CAP – The natural boar’s hair bristles on our brush are ideal for gently massaging away cradle cap. 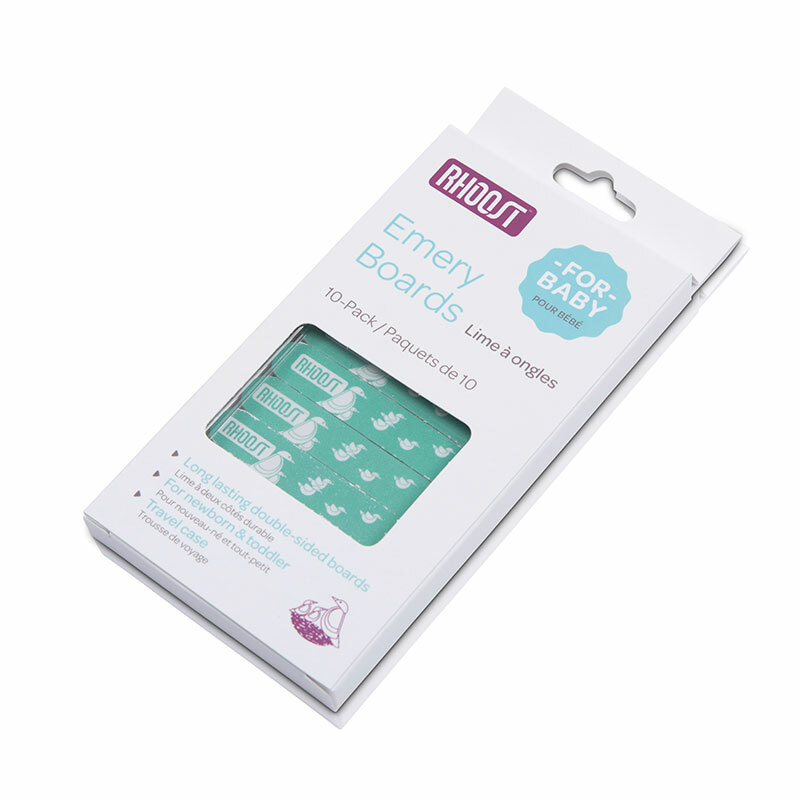 PERFECT GIFT FOR NEW PARENTS – Our stylish Baby Grooming Kit is an great baby shower gift for new parents. 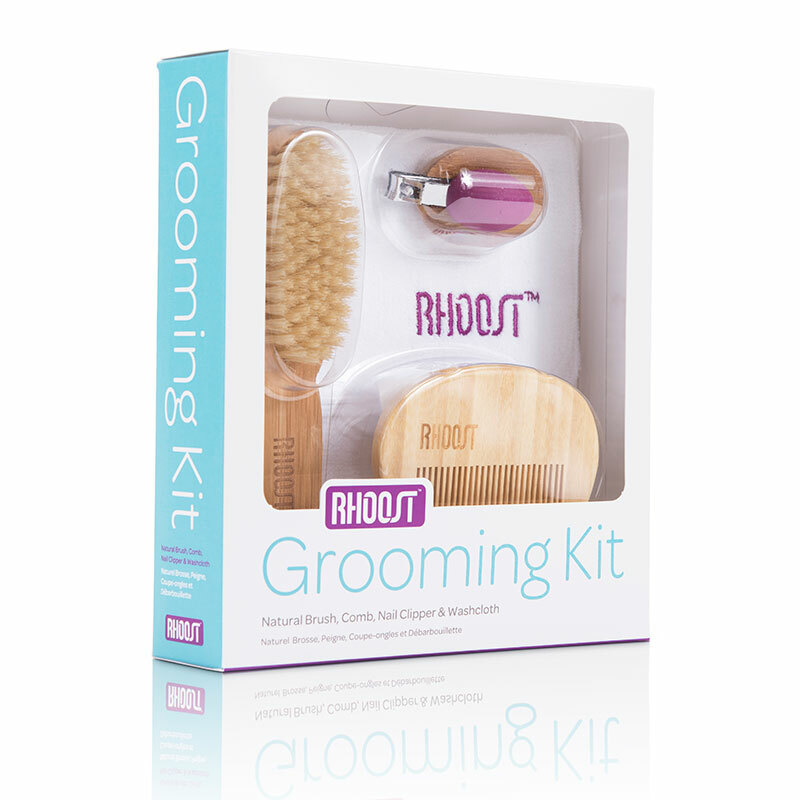 I LOVE this Grooming Kit! The materials are so much better quality than anything else I have seen on the market and I love that everything is all natural. 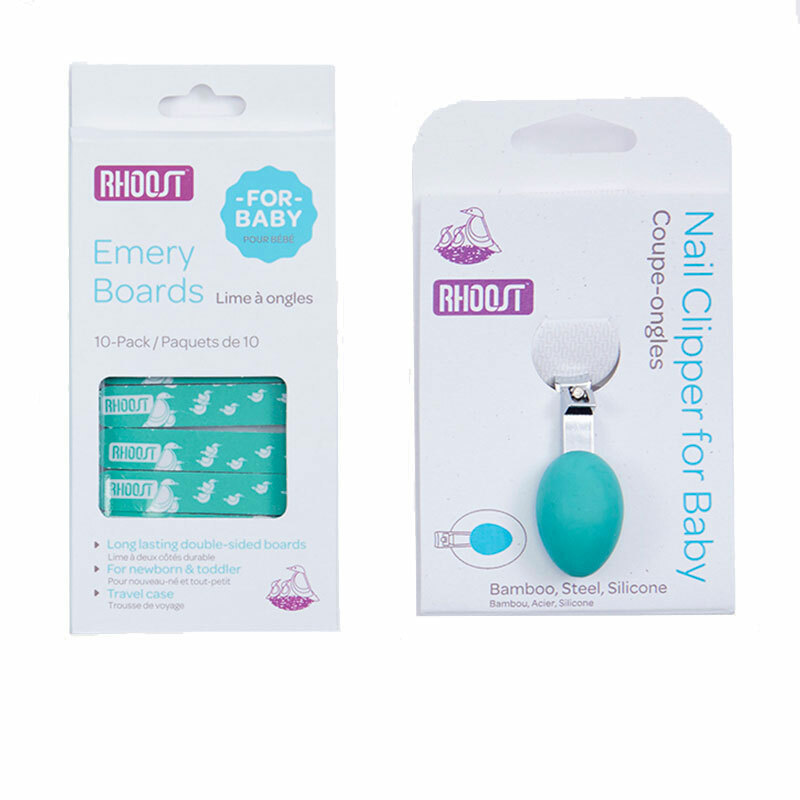 Thank you Rhoost for developing a nail clipper that doesn’t make me cringe everytime I have to use it. This is going to be my new go-to baby shower gift item. So cute and great materials. I just bought this for a friend – she is going to love it!! It’s adorable. wow- so stinkin cute! I just purchased for my daughter- love the super soft wash cloth. Will make this my go to for baby shower gifts- such a better option that all that plastic tacky stuff. 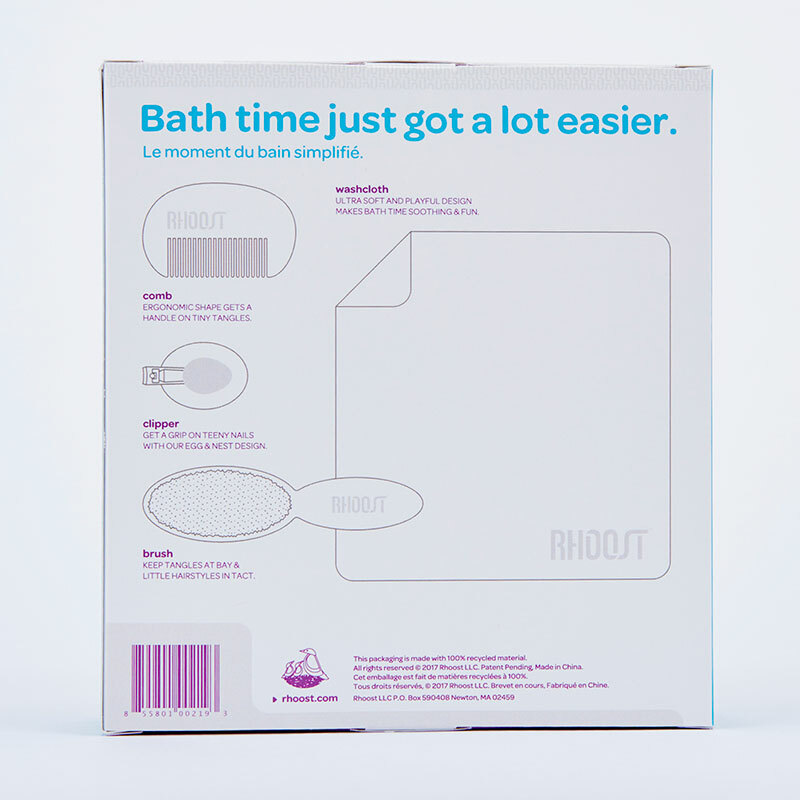 very impressed with this bath kit. 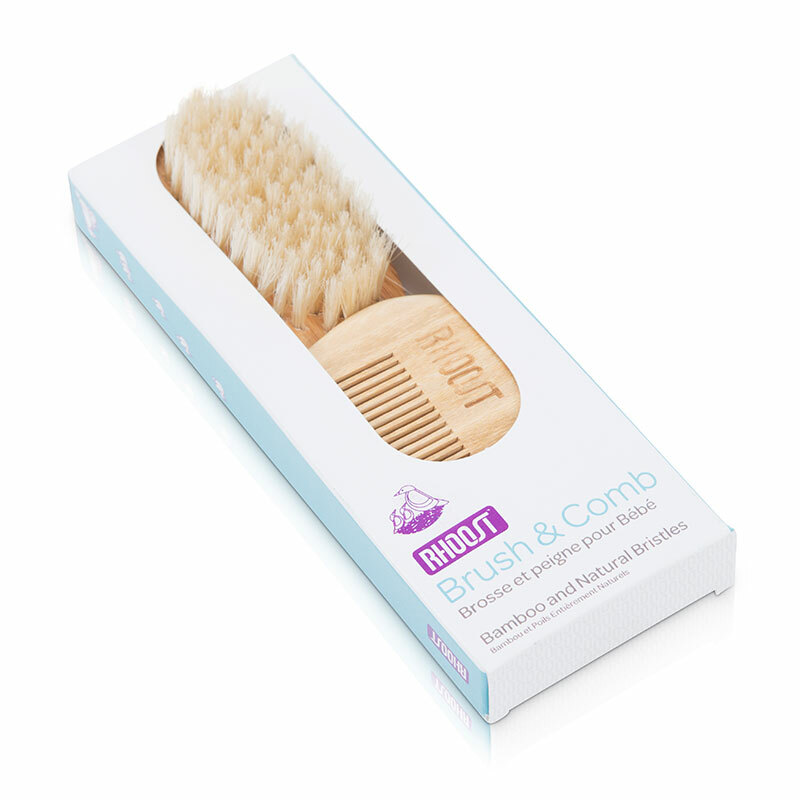 wood comb and brush are the best quality I have seen. well done. refreshing to use real wood and such a soft cloth. it actually gets softer after each use. I love this bundle.